Winter snow has wiped millions off Debenhams’ profits after it was forced to close more than half of its stores during the February blizzards. Debenhams also suffered a major blow in March when heavy snow disrupted trading during its “Spring Spectacular” promotion period, a week that usually generates high sales. Around 70 shops were forced to close because of snow, which is understood to have cost Debenhams about ?5m. The foul weather, together with dismal Christmas sales, have contributed to a disastrous few months for the department store chain. It is expected to reveal this week that pre-tax profits have halved over the last six months. The company had warned in January that a “volatile and highly competitive” trading environment would mean that profits would be far lower than the ?80m it had originally forecast. City analysts have pencilled in profits of around ?44m, putting it on course to hit the ?55m to ?65m range Debenhams had anticipated for the full year in January. Like-for-like sales for the three months dropped 2.4pc. 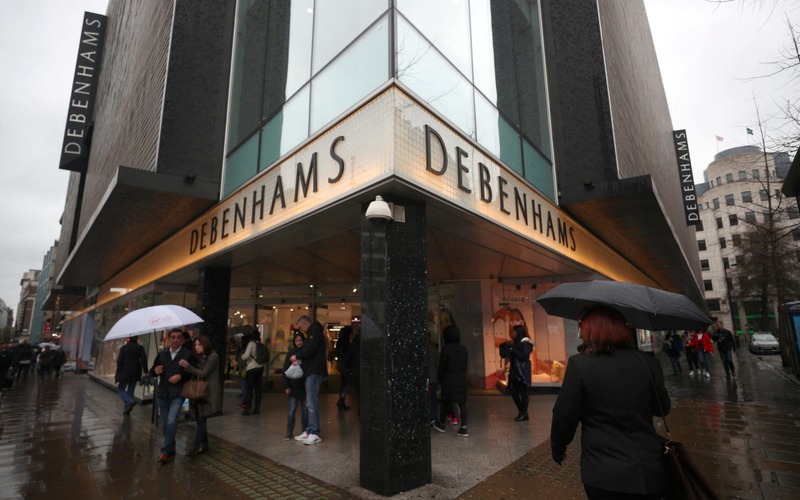 However, Debenhams is expected to report that a store renovation programme is working, including in Uxbridge where it renegotiated terms with the landlord to reduce floor space by 20pc. A newly refurbished shop in Stevenage will also be singled out. Meanwhile, House of Fraser said last week that it would begin stocking “premium Chinese brands” previously unavailable in the UK, with the aim of attracting new customers. Earlier this year it was forced to seek rent reductions at a number of its sites following poor trading.